These new style drilling tools are ideal for those times when you need the maximum amount of control for drilling in wood and plastic. 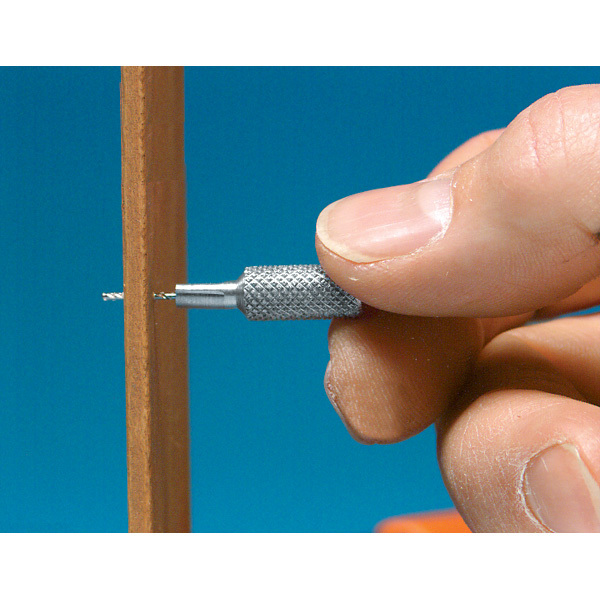 And since each drill has its own handle, you won't waste time changing bits the way you have to when using a pin vise. All bits are high speed steel mounted in knurled, no-slip aluminum handles. 60931: #50 (.0700 inch), #52 (.0635 inch), #54 (.0550 inch), #56 (.0465 inch). 60932: #58 (.0420 inch), #60 (.0400 inch), #62 (.0380 inch), #64 (.0360 inch). 60933: #66 (.0330 inch), #68 (.0310 inch), #70 (.0280 inch), #72 (.0250 inch). 60934: #74 (.0225 inch), #76 (.0200 inch), #78 (.0160 inch), #80 (.0135 inch). 60935: 1/64 inch, 1/32 inch, 3/64 inch and 1/16 inch.